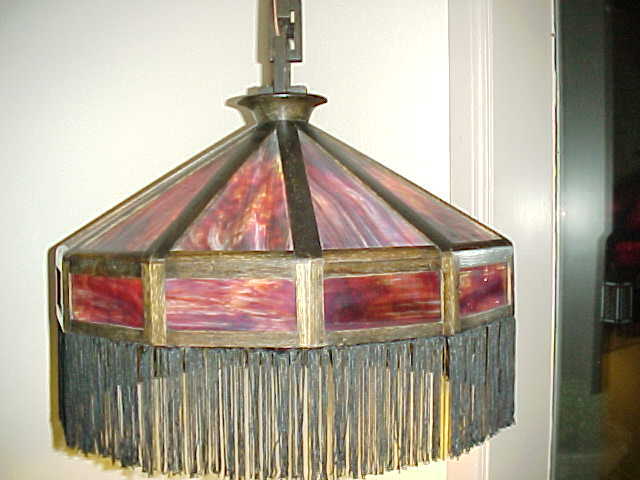 Here is a great and rare Shop of the Crafters hanging lamp. 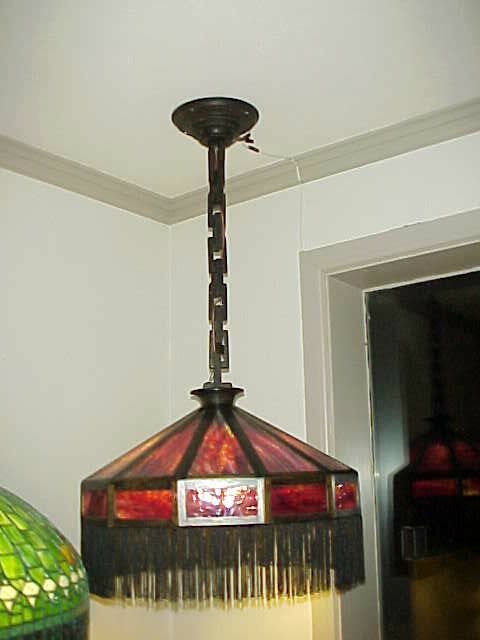 Measures 24" and hangs 43". Retains all it's magnificent cats paw glass. Beautiful striated colors in deep reds and purples. The dark fumed oak has the original patina and all it's original hardware with four sockets and acorn chain pulls. 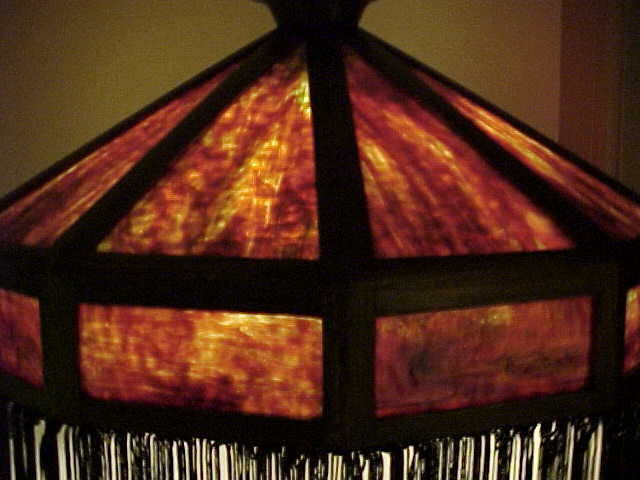 The oak chain links,ceiling canopy and shade shape are all hallmarks of the Shop of the Crafters at Cincinnati, whom has long been accorded preeminence of the arts and crafts movement, producing sophisticated and significant designs of inlaid and other fine furnishings in the mission style. Oscar Onken's Shop of the Crafters opened in 1904 and discontinued operations under that name in 1916. A real bargain.